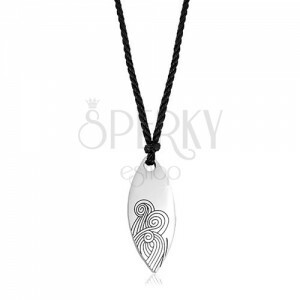 Necklace made of black string and a stainless steel pendant in silver shade, thin spiral lines in black colour. 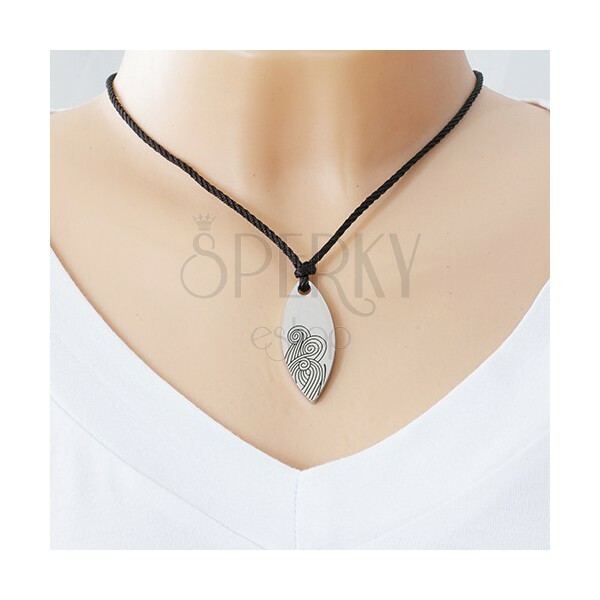 Necklace - black string is looped through a shiny stainless steel pendant in the shape of a big grain of silver colour. 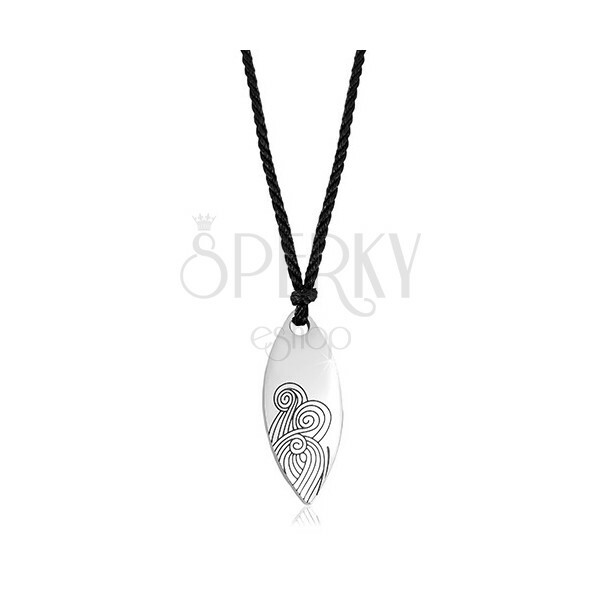 The pendant is at the bottom decorated with an engraved black ornament made of thin black lines. The necklace is without a clasp and has an adjustable length.